Flooding happens every year. And while big floods can be a concern, even small floods can cause problems for businesses and homeowners alike. If your property has been affected by flood damage, it’s not always wise to do the cleanup yourself. However, if you do prefer to perform cleanup without help from a company like Paul Davis, there are steps you should take to prepare yourself and your family. Here are some do’s and don’ts for flood and water damage. DO beware of rodents, snakes and insects that might have come in with flood waters. They can carry disease or cause further damage to your home or property. DO pay attention to damaged power lines, foundational cracks, slanted floors, shifted stairwells, and the smell of leaking gas. DO make sure that the water you’re using for drinking is safe. Water that is safe to drink can also be used in your cleanup efforts. DO improve ventilation in your property by opening up windows and doors as you clean. DO pay attention to damage such as holes in your walls and roof, and cover with a tarp or plastic until repairs can be made by yourself or a professional. DO wear protective clothing, boots and rubber gloves. DO wash your hands often with soap and water. DO remove all wall coverings and throw them out, as they may harbour mould. DO remove drywall, finished ceilings and most insulation that’s been in contact with flood water. DO throw out all exposed food, beverages and medicine, including canned goods. DON’T enter your home or business if you see major structural damage. DON’T walk on sagging floors or floors above sagging ceilings. DON’T use electrical appliances or turn on ceiling fans and lights if the ceilings are wet. DON’T do structural or electrical work yourself. DON’T connect generators to the property’s power system. DON’T let garbage pile up, as it could exacerbate contamination and house pests. DON’T leave pools of standing water, which could become breeding grounds for mosquitoes. You can find additional do’s and don’ts regarding flood damage cleanup on our website. 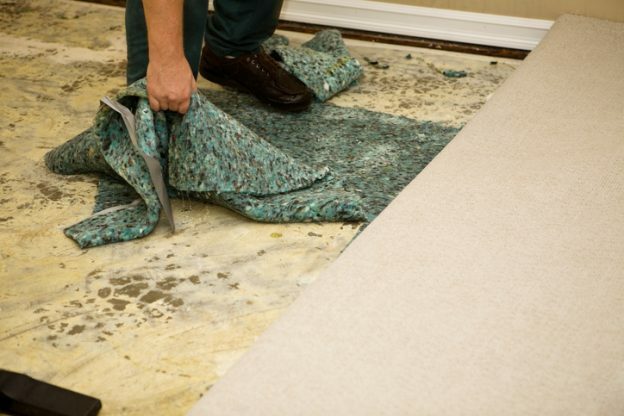 Flood damage can be minor or extensive. It’s important to know when you can attempt to do the work yourself and when you should bring in the professionals at Paul Davis. Because when it comes to flood damage, this is no time for second best.